The RONDOSOLK5 is a Single Round Bowl Inset Sink with Mixer Tap from Blanco. 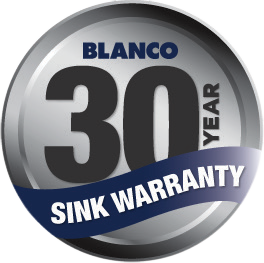 Over 85 years of Stainless Steel know-how make Blanco one of the world leaders in sink manufacturing, which translates to superior products for your home. No overfilling the bowl, prevents accidental damage to the kitchen cabinetry. Crafted from premium stainless steel and finished with Blanco’s patented brushing techniques, which helps conceal scratching and markings. This unique seal eliminates the risk of water penetrating the cabinet below. It is also bacteria resistant, anti-mould and anti-mildew and does not require additional sealant from the installer. 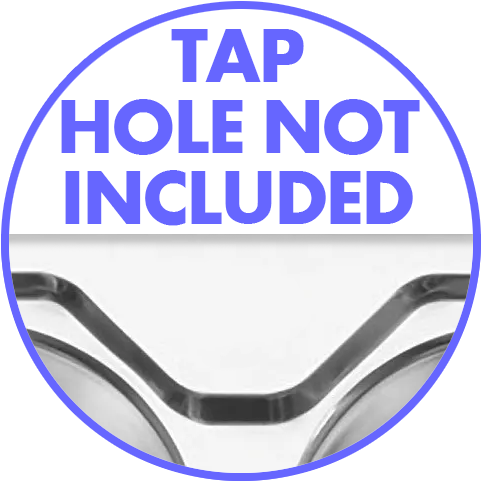 Blanco provides 20% more sink clips than most other brands making this sink one of the simplest to install. Complementary to an island or bar style trend, however large enough to accommodate everyday household activity. Use in conjunction with RONDOSOL-T as a set (RONDOSET) for elegant and functional kitchen solutions. Turns your sink into a functional workstation.